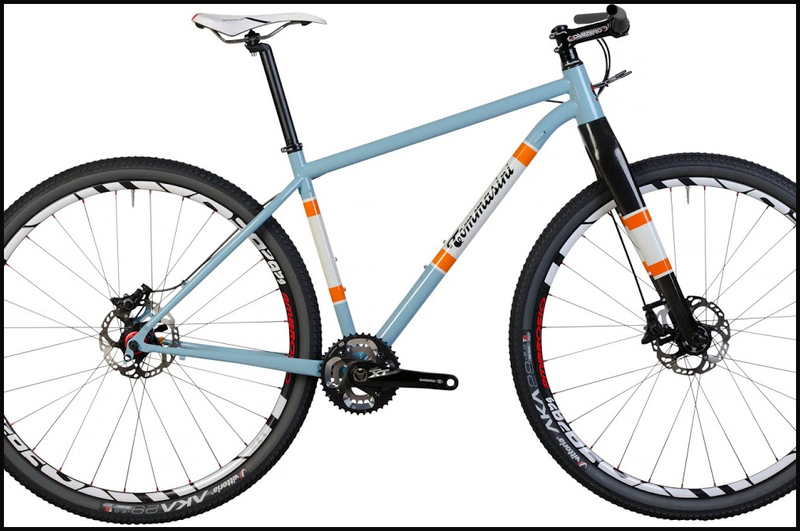 Tommasini Synchro is built with Columbus “Zona 29er” tubing. A high end steel tubing named Nivacrom because it is made of a Nickel, Vanadium and Chromium alloy. Tubes are “triple butted” which means that they have three different wall thickness to better meet production and biking needs. TIG welding (Tungsten Inert Gas) with very precise welds to better respect the mechanical integrity of steel. The frame results alive, with a soul of its own, capable to develop with generosity the power impressed by the bike pilot without being too rigid like many carbon fiber frames. With these prerogatives, it results well thought for rando-sportive recreational use, for cross-country performances and for every path. 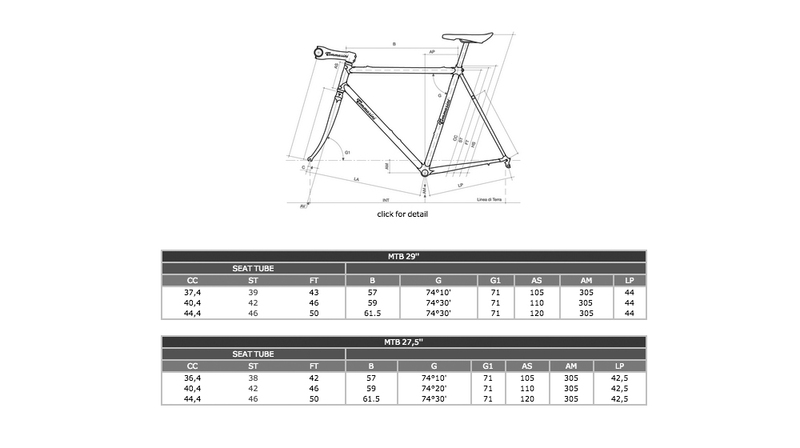 The frame is proposed in 3 standard sizes, but it can be produced in custom sizes, too. It can be built for 29” and 27 1/2” wheels and also for the classic 26” wheels without surcharge. The matching fork can be either suspended or rigid, depending on the rider's needs. Paint can be personalized to let the customer has the chance to get an original and exclusive machine. 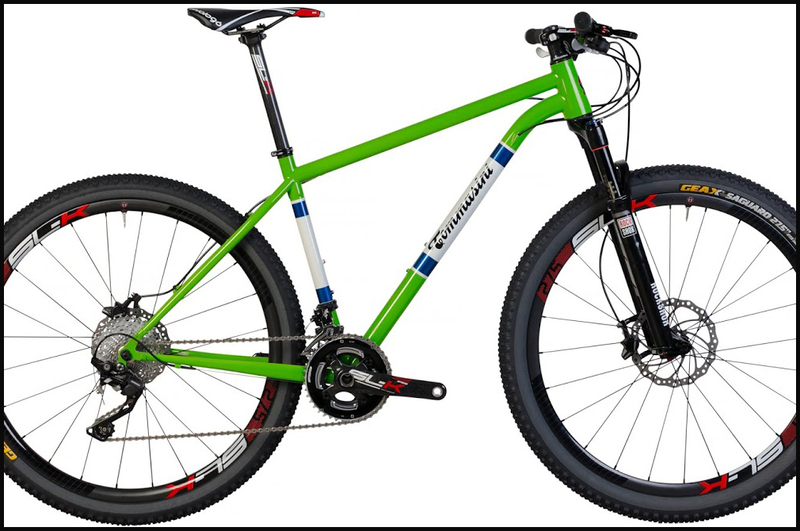 MTB Syncro-Pro, there is no forbidden road with Tommasini production!